The Duchess of Cambridge visited Hampton Court Palace, famous as the home of King Henry VIII, this morning. 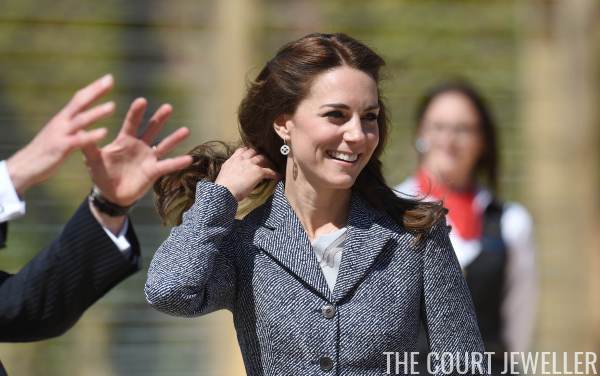 She toured the palace's new Magic Garden, which is designed to recall the mythical atmosphere of the Tudor royal court. 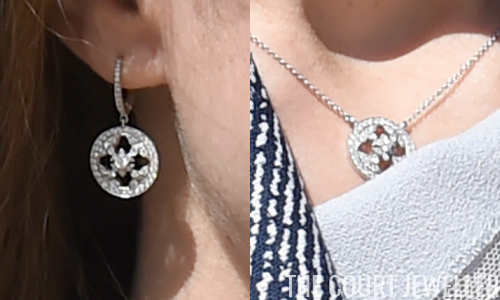 For the engagement, Kate wore a necklace and a coordinating pair of earrings by Mappin and Webb. The pieces are from the firm's Empress collection. They're made of diamonds set in white gold. The set has been in Kate's collection for some time. 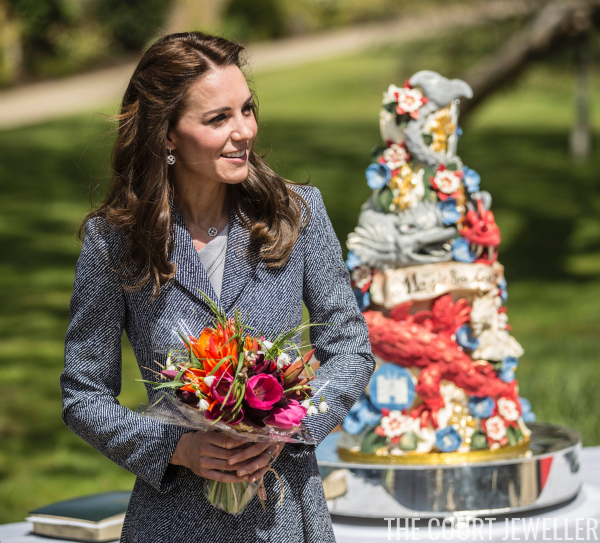 One of their most prominent outings was at last year's christening of Princess Charlotte.